Summer at the Straz Center means a windfall of students leaping, singing, tapping, tuning, rehearsing, running lines and taking selfies with beloved teachers in our many, many (many, many) summer camps and classes. We enjoy the nonstop energy all year long at The Straz, but the exuberance of everyone here for our summer arts education programs makes life sizzle with excitement on every floor of our performing arts school, the Patel Conservatory. Summer campers from Musical Theater Camp: Dancing with Props pose for a quick photo during rehearsal for their end of the week showcase, 2017. A big part of our arts education curriculum involves a performance component—after all, we must put the “perform” in performing arts. We thought we’d take a closer look at an aspect of performing arts training that often goes unexamined: the recital. Why do it? Are recitals really necessary? The dreaded notion of stage fright enters the equation somewhere, as it’s a top fear akin to glossophobia, the fear of public speaking. Similar in nature, stage fright and glossophobia stem from a sense of feeling threatened (perceived ridicule, failure, or ostracism) and trigger the flight-fight-freeze response in the brain. Recitals, especially in a conscientious environment, are a great way for people of all ages to learn to overcome fear and gain invaluable self-confidence in presentations. Students from Showstoppers, Jr – Thunder Mountain Revue performing at the end of their two-week summer camp, 2017. Even if students do not pursue professional artistic careers, recitals and public performances build a critical professional skill set. “The long- and medium-term preparation students put into performance all the way from the beginning stages of play and early technique to the weeks or months that might go into a particular performance help develop the sense of pride and a higher level of attention to detail that translates well to nearly any aspect of life—in any discipline,” says Dr. Catherine Michelsen, string specialist with the Patel Conservatory. Did you know that Patel Conservatory recitals are usually open to the public? Often free of charge, our recitals are a great opportunity for community members to play their part as the collaborators of the artistic triangle. Come be in the audience! Our performances are listed on the Patel Conservatory web page. Caught in the Act features an exclusive look at life in the performing arts behind the scenes, on the fringes and everywhere in between. We’d love for you to reblog or share our content — we ask that you please make sure you cite us when you do. © Straz Center for the Performing Arts and Caught in the Act, 2016. Unauthorized use and/or duplication of this material without express and written permission from this site’s author and/or owner is strictly prohibited. 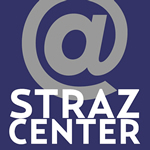 Excerpts and links may be used, provided that full and clear credit is given to the Straz Center and Caught in the Act with appropriate and specific direction to the original content.